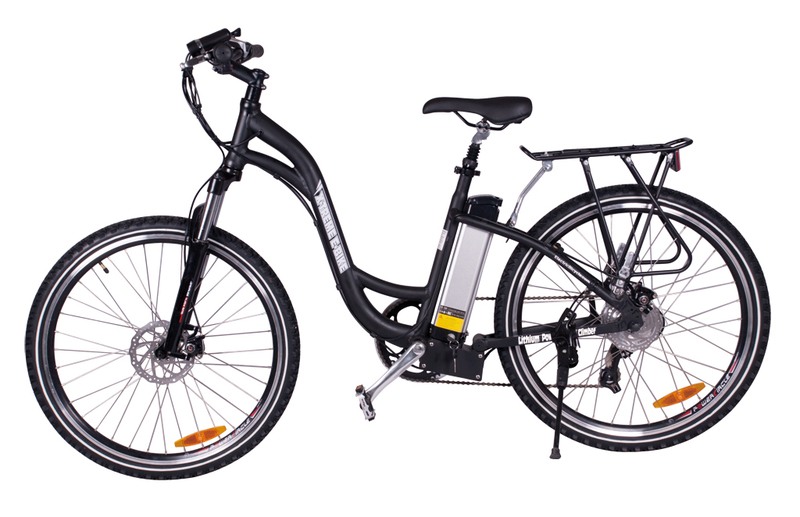 The Trail Climber Elite is a Lithium Battery powered Electric Bicycle with a step through frame, running on a 300 Watt Zero Resistance rear hub motor. 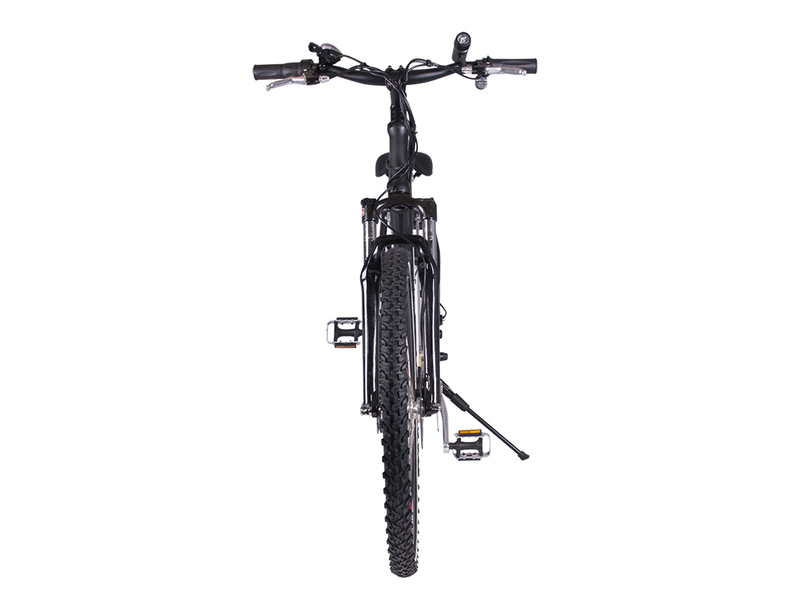 Made with all top of the line components this model includes a 7 Speed Shimano Tourney® Gears & Shifter System, 7 Lightweight Lithium 24 Volt 10.4 Amp LiPo4 Batteries, a 100% Aluminum Alloy Frame, fully Adjustable Seat, and a Suntour hydraulic front fork. This electric bicycle will travel up to 20 miles per hour for up to 20 miles on a single charge and it only takes about 4 hours to recharge the battery. 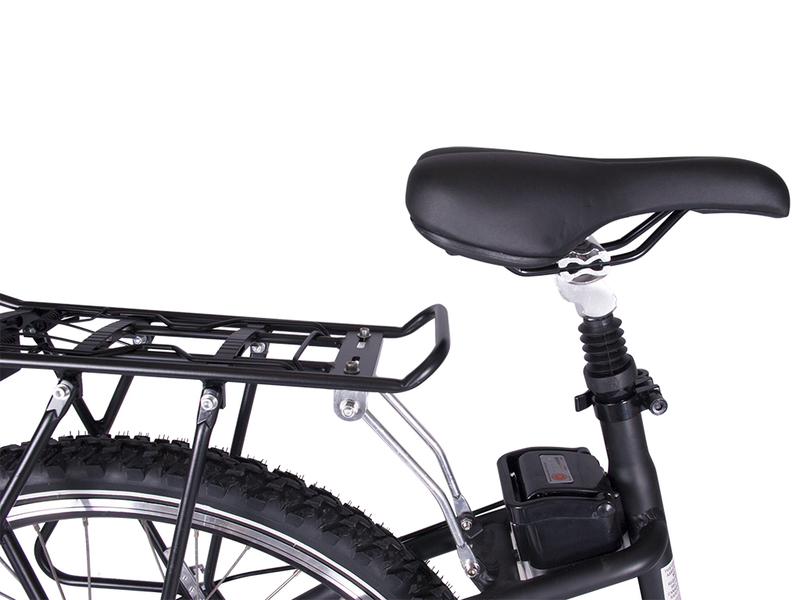 The LiPo4 lithium battery pack is lightweight, compact and mounts to the frame under the seat and is hardly noticeable. Bicycle In Box Weight: 60 lbs. Suggested Max Weight: 350 lbs. 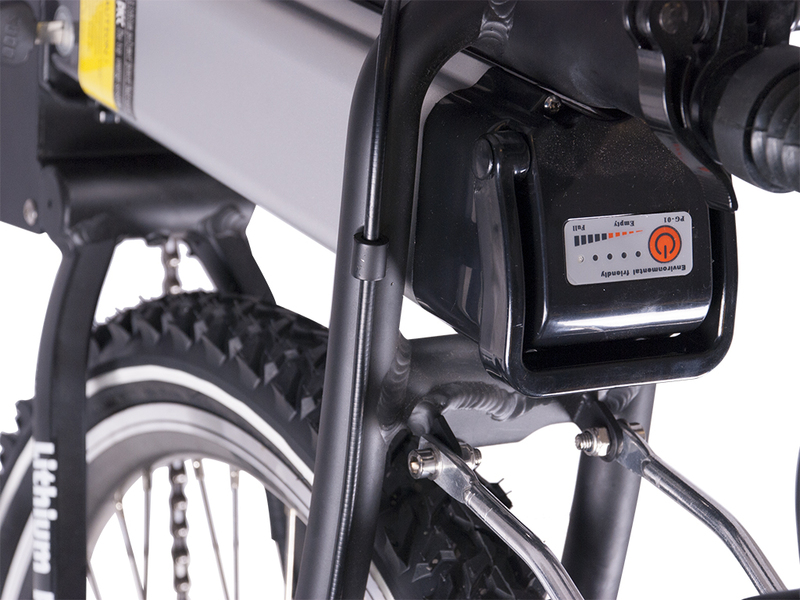 X-Treme Electric Bicycles and Scooters is a division of Allco Manufacturing. 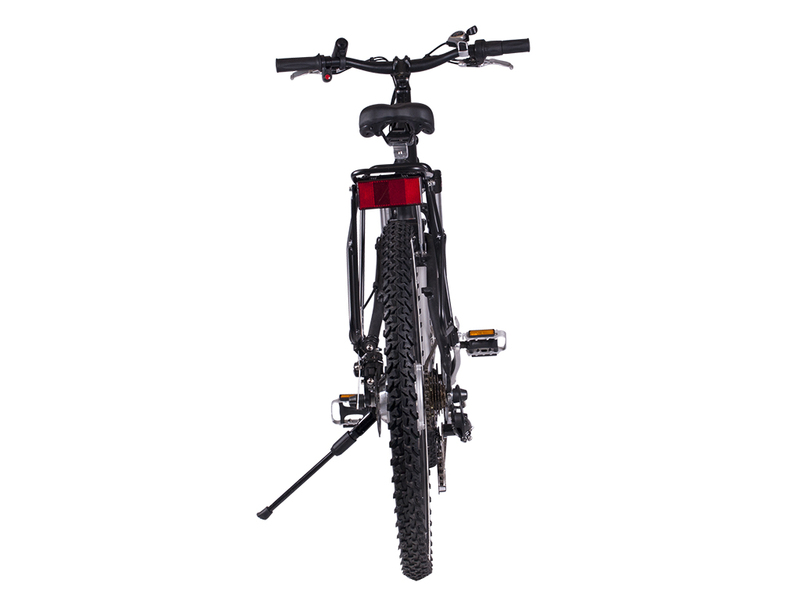 X-Treme Electric Bike manufactures power-assisted electric bicycles, electric commuter bikes, electric mountain bikes, electric beach cruisers bicycles, folding electric bicycles, and both electric & gas scooters. 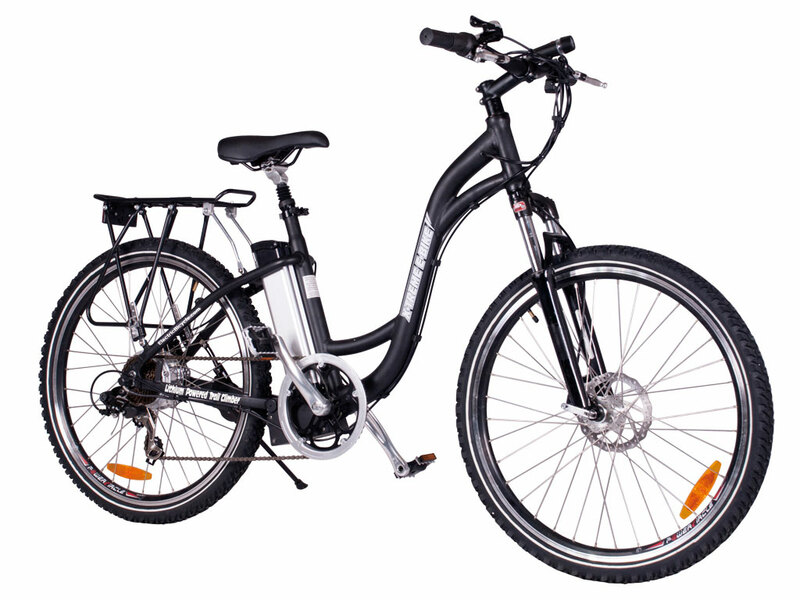 They offer a variety models at extremely affordable ebike prices. 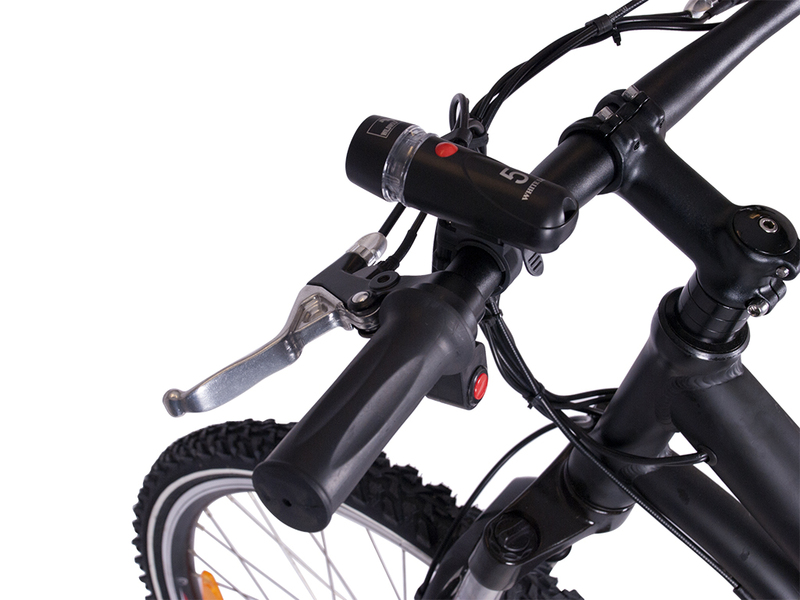 X-Treme electric bikes come with a standard ONE-year manufacturer warranty on all bikes and lifetime technical support. 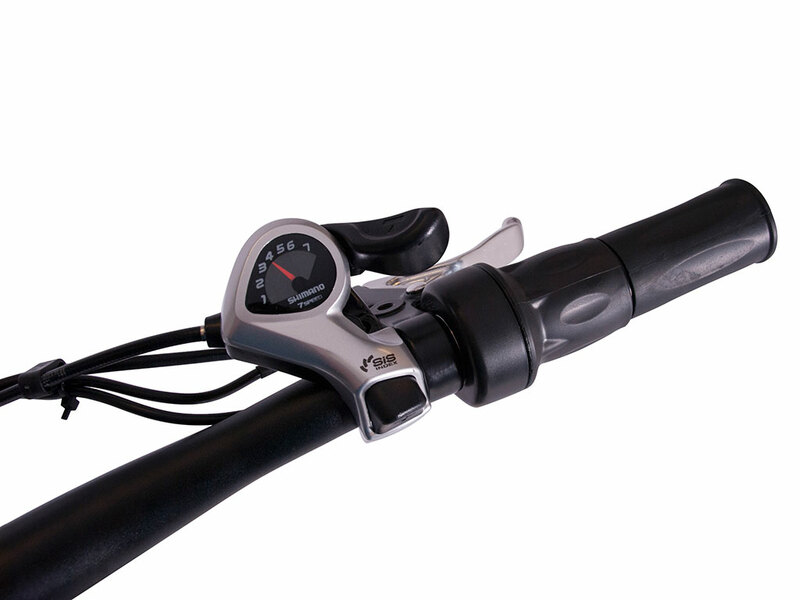 X-Treme has been in the electric bike (e-bike) & scooter industry for 20+ years and has become a trusted brand in the entry level e-bike price category and a household name to many. Don't take a chance with an unknown, internet, import brand just to try and save a buck. 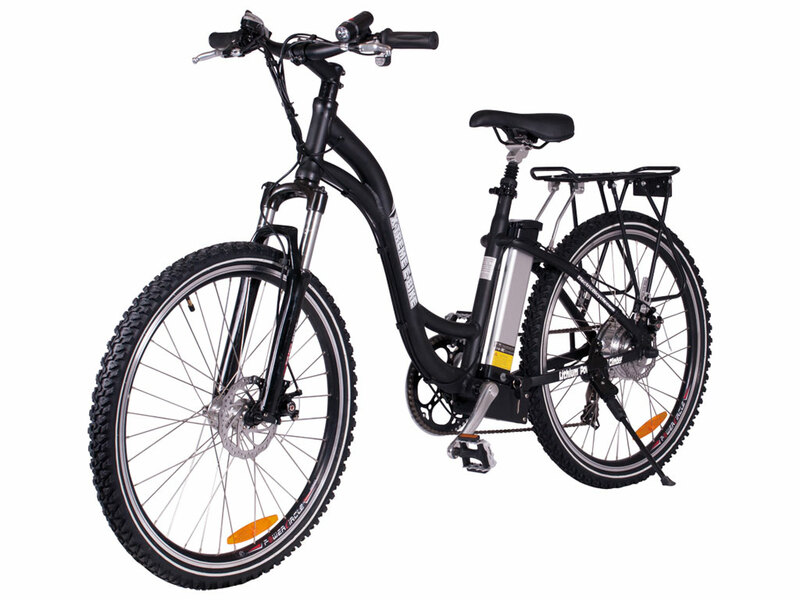 X-Treme electric bicycles are a real value, AT THE SAME ROCK BOTTOM PRICES, from a longtime established manufacturer.